The Municipal Water District of Orange County (MWDOC) has been teaching Orange County students about the importance and value of water for more than 45 years. Since the school program’s inception in 1973, more than 3 million Orange County students have learned about Orange County water resources under one of the most successful and well respected water-education curricula in southern California. In 2004, MWDOC contracted with the Discovery Cube Orange County (Discovery Cube) to modernize and refresh our water education program for Orange County elementary school students. Through this endeavor, the elementary school program now reaches approximately eighty thousand Orange County students each year. Today, by offering an innovative approach to water education through the Discovery Cube, elementary school students are presented grade-specific assemblies and are tested on their water knowledge with a keypad device before an assembly program begins, and then again afterward to measure how much knowledge they’ve gained through the experience. To book your FREE onsite program, please contact Adam Jacobson with Discovery Cube at (714) 263-3806 or email. Educators, contact your local water district to get your school signed up to participate in one of our county-wide water education programs. Download our FREE Ricki the Raindrop Activity Books full of games, facts, and coloring pages to help Orange County students discover the value of protecting our most treasured, natural resource! In 2015, MWDOC launched a CHOICE high school program through a partnership with the Orange County Department of Education, and their award-winning Inside the Outdoors (ITO) education program. By opting in to the program, water agencies and cities throughout Orange County were offered an opportunity to collaboratively bring students in grades 9-12, comprehensive classroom instruction about where California water comes from, and what challenges water professionals face delivering water to homes, businesses, industry, and agriculture all over the state. The CHOICE high school program consists of three visits to each participating high school each year, by ITO’s “Traveling Scientists.” On the first visit, students are educated about where California water comes from and how to be more water efficient. On the second visit, students review briefing books on the California WaterFix and EcoRestore projects, and then debate the merits of the proposed projects in class. For the final visit, students are asked to organize a schoolwide expo with ITO staff and share all they have learned about California’s water supply and its many challenges with other students in their schools. 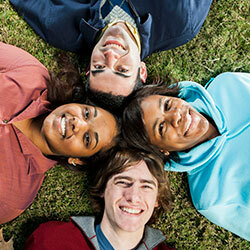 In an effort to provide water education and resources to additional high schools, beginning with the 2017-18 school year, MWDOC has incorporated a condensed version of the CHOICE high school program into the CORE budget. 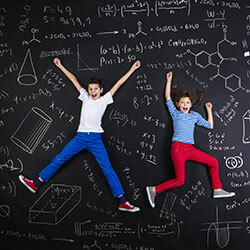 This CORE program includes a digital resource guide for students and teachers with training and support videos, a contact list to subject matter speakers organized by expertise, and a one-time, interactive, “Traveling Scientist” classroom presentation for teachers who integrate at least two elements of the resource guide into their lesson plans. This classroom component provides students an overview of the science, economics, and history of Orange County water. MWDOC’s official and much loved mascot Ricki the Rambunctious Raindrop has been the symbol for Orange County water education for over 45 years. The rambunctious drop was brought to life by a Southland school teacher in 1973 and has been educating Orange County students in grades K-5 about the water cycle and the importance of water ever since. 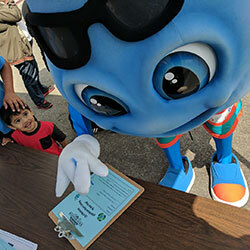 Today, Ricki still makes appearances in the classroom and at a smattering of kid-centric award ceremonies, but can also be found “on the run” throughout the OC, bringing valuable information and water education to adults and children alike through special appearances at community events.